As we creep towards the end of July, it’s time for me to reflect on what I’ve loved using/wearing the most over the past month! I can’t believe how fast time has flown by, I’m 3 months away from giving birth – I can hardly wait! So, this month’s been a lot of fun – probably the best month I’ve had so far this year because I finally got to travel! After months of confinement due to pregnancy, which was literally eating my soul (you jetsetters out there will understand), I finally had an excuse to hop on a plane! I spent the first week of July in Sydney for the annual Hillsong conference (which was a blast! ), and the second week at Mount Hotham. 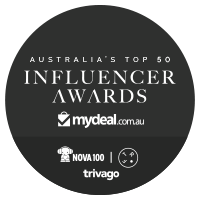 So some of the things I’ve been loving lately are those that I used while travelling, or new discoveries as I did some shopping with my mom when I got back to Melbourne! This is currently my favorite nighttime cleanser, but because of its steep price I only use it when I’m wearing heavy makeup. On days when I’m not wearing makeup, I would cleanse using my morning cleanser (La Roche Posay Lipikar Syndet with a Clarisonic if I’m washing my face in the shower, or Fresh Soy Face Cleanser if I’m washing my face in the bathroom sink). I’ve only ever tried a handful of cleansing balms before, namely the Clinique Take The Day Off, The Organic Pharmacy Carrot Butter Cleanser and the SK-II Facial Treatment Cleansing Gel – but for me, none of them have been able to excel in both makeup removal and skin cleansing, they’re only good in one or the other. The Clinique one is a great makeup remover, but I still need to use a proper night cleanser afterwards. The Organic Pharmacy and SK-II are great cleansers, but doesn’t remove eye makeup as well as the Eve Lom. 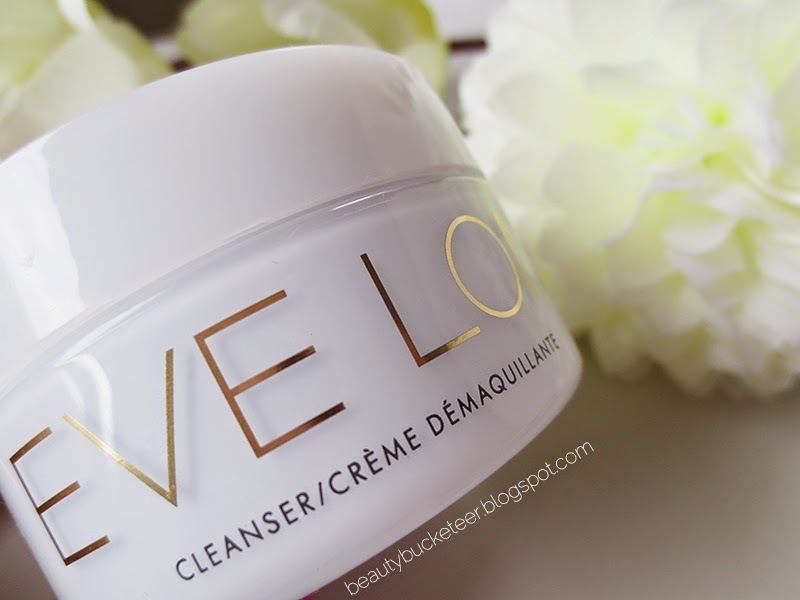 I love that this cleanser eliminates the need for double cleansing at night! So this is perfect for me as I’m super lazy when it comes to skincare these days. Will do an in-depth review really soon, and plan to purchase the Emma Hardie Cleansing Balm once I run out so I can do a comparison! I’d also like to acknowledge the muslin cloth for being so remarkable – it is unlike any other muslin cloths I’ve had. 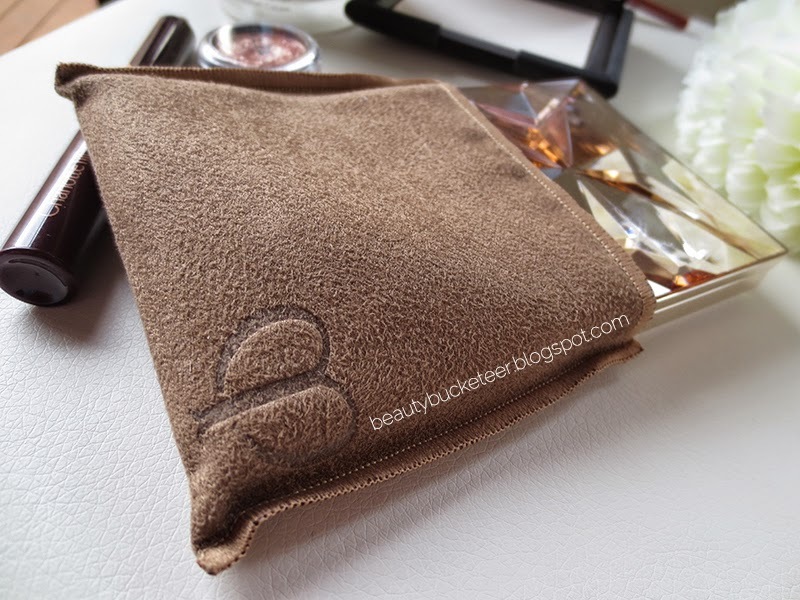 First, makeup is easily washed away from the cloth, compared to my Organic Pharmacy muslin cloth. Took forever for me to get rid of eyeliner and mascara stains from my Organic Pharmacy muslin cloth, but with the Eve Lom one, I just simply have to run it under hot/warm water, wash it for a bit, and everything’s gone! I don’t even need to use soap or detergent! 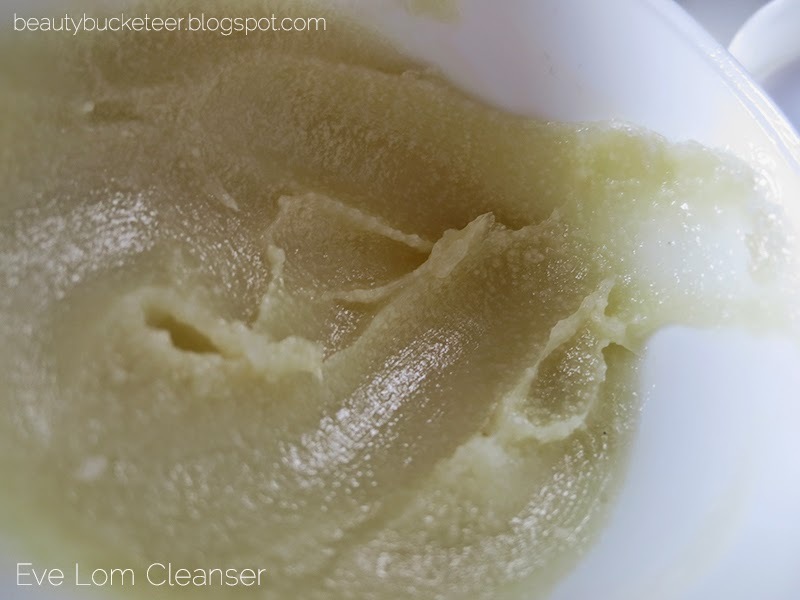 Secondly, it exfoliates the skin really well without being too abrasive or harsh. It’s actually really, really soft. Major love! 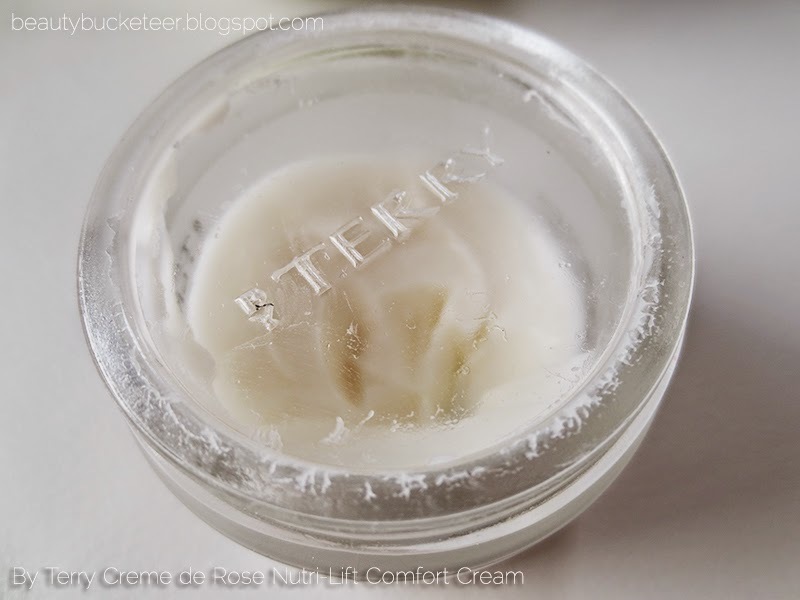 I am constantly on the hunt for a great moisturizer, and am glad I finally found this cream! This is my current go-to nighttime moisturizer (night cream). The cold and dry weather is taking a toll on my skin, especially my chin area (where all of my breakouts are) which is super dehydrated and dry because of my acne treatment. I started using Cetaphil in late April/early May but the finish is somehow rather oily and greasy – it somehow doesn’t get absorbed into the skin and sort of just sits there on top of the skin. I started using this mid-June and haven’t stopped since! It’s the only moisturizer that’s been working well for me – it normalizes and hydrates my chin area really well but doesn’t over-hydrate the other areas of my face. It also doesn’t clog pores, I’ve never broken out from this product and I’ve been using this nightly for the past month and a half. My skin is very sensitive to products that clog pores – if a product is pore-clogging, next morning I will end up with clogged pores around the nose, and after a day or two, will break out around chin and cheeks. Didn’t happen with this one! 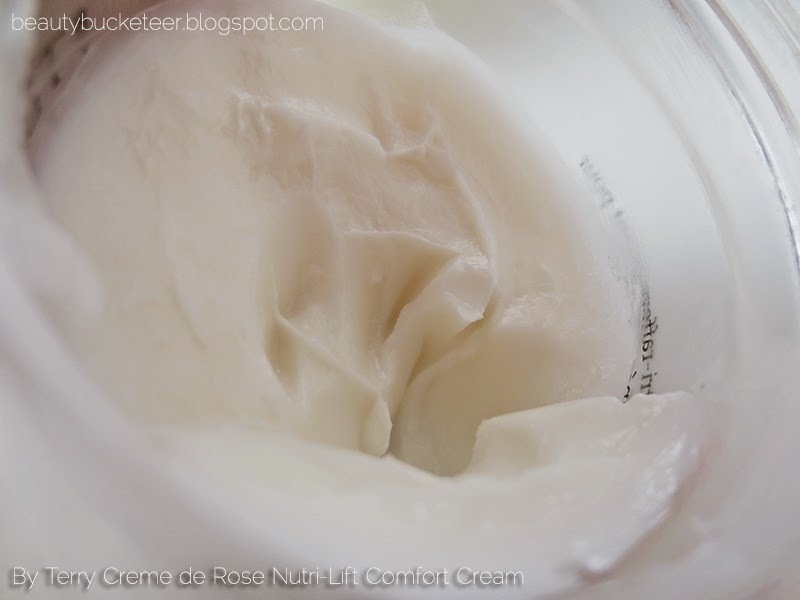 The thick texture reminds me of Creme de La Mer, except this smells like a field of roses. Ooh la la! However, it doesn’t feel thick upon application because the cream has to be warmed up between fingers first to melt the product, similar to Creme de La Mer, and it has a very smooth finish – absorbs quickly, no greasiness or tackiness, but skin feels nourished and hydrated. I’m currently about halfway way through the whole pot (I’ve actually started using this in April, but stopped for a while when I had an allergic reaction to a medication and my skin got irritated – I had to use Cetaphil for a while) because I sometimes use this in the morning only in my chin area. 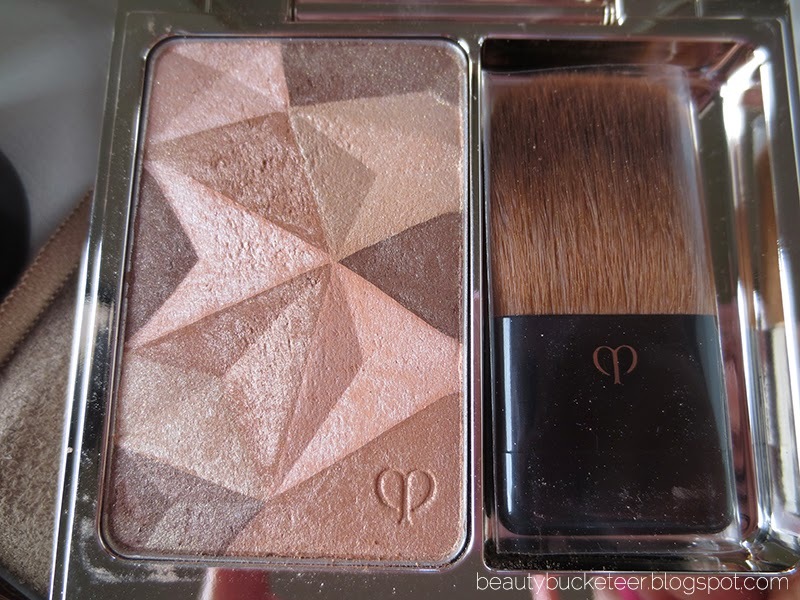 As much as I love this, it hurts me that I don’t think I would repurchase this any time soon since it’s so expensive! I actually didn’t purchase this myself, I received this from a swap. By the time I finish this product it’d probably be Summer here, so I don’t think I would need a moisturizer this thick, will probably repurchase close to Winter. I’m currently eyeing the Murad Essential-C Night Moisture and Origins GinZing for Summertime! 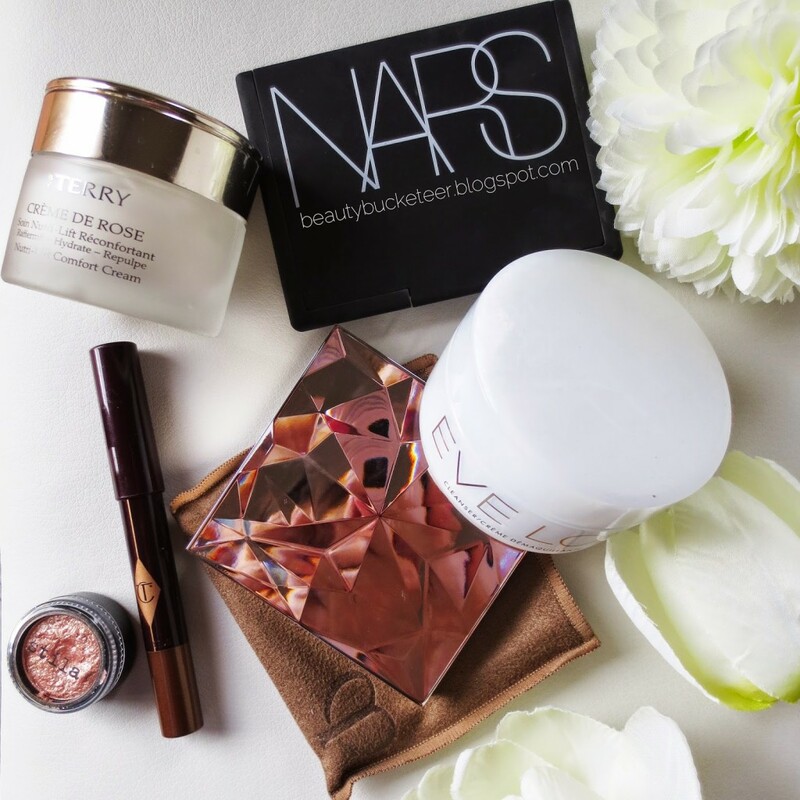 Simple, easy and perfect on-the-go makeup item. 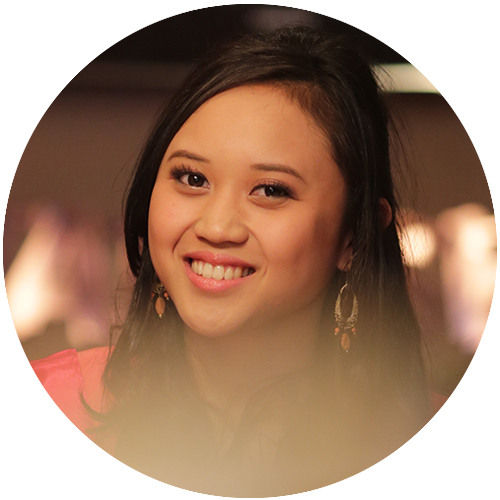 Just swipe, blend, and voila! This is perfect for travelling or when you’re in a rush. 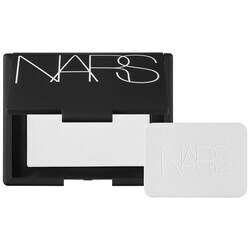 Just swipe this all over the lids (focusing on lower lash line) and blend upwards and outwards with finger. Makes it seem like a bit more effort was put into my eye makeup, although it was just one swipe of this! The product dries out pretty fast, so have to work with it pretty quick. It stays put all day and doesn’t budge or crease even without eyelid primer. However, you may need to prime your lids first if you have oilier lids. 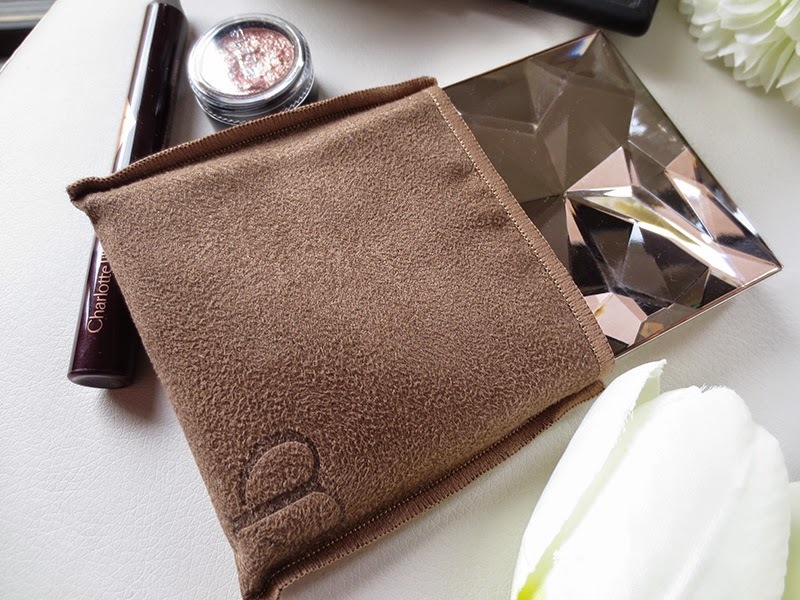 I featured this in my simple travel makeup bag post. 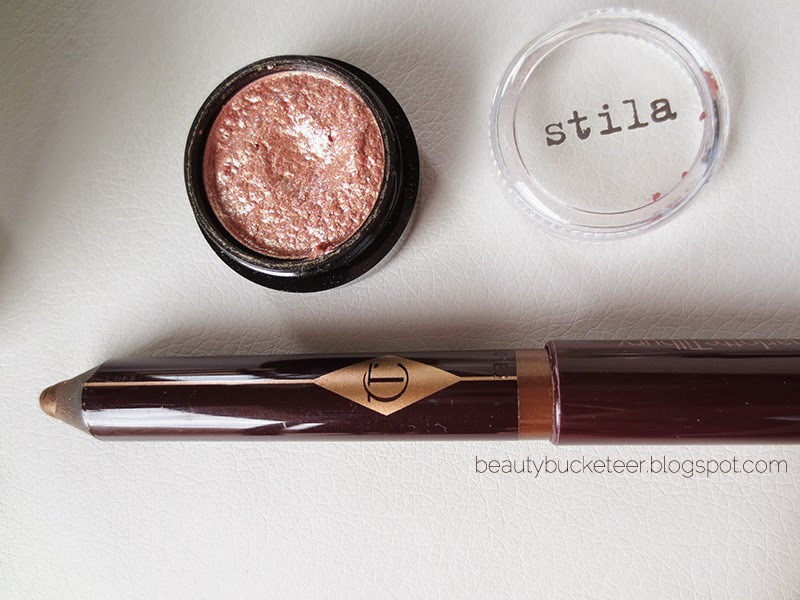 I love pairing this with the Stila Magnificent Metals Foil Finish Eyeshadow in Kitten! 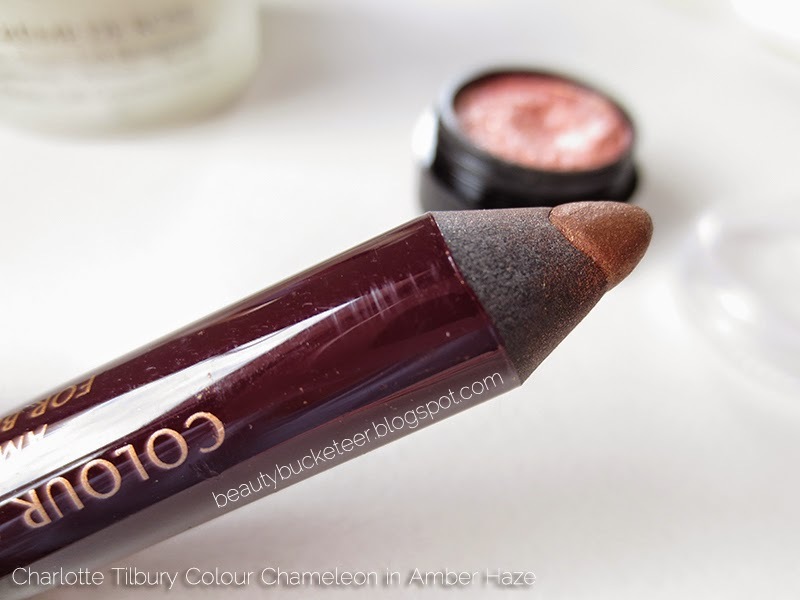 I’ve also been liking By Terry Ombre Blackstar in Bronze Moon but it’s too shimmery for everyday use. This one doesn’t have too much shimmer (or glitter) so it’s the perfect neutral, everyday bronze/brown base. I raved about this product here! So I’m not going to go into much detail with this one. 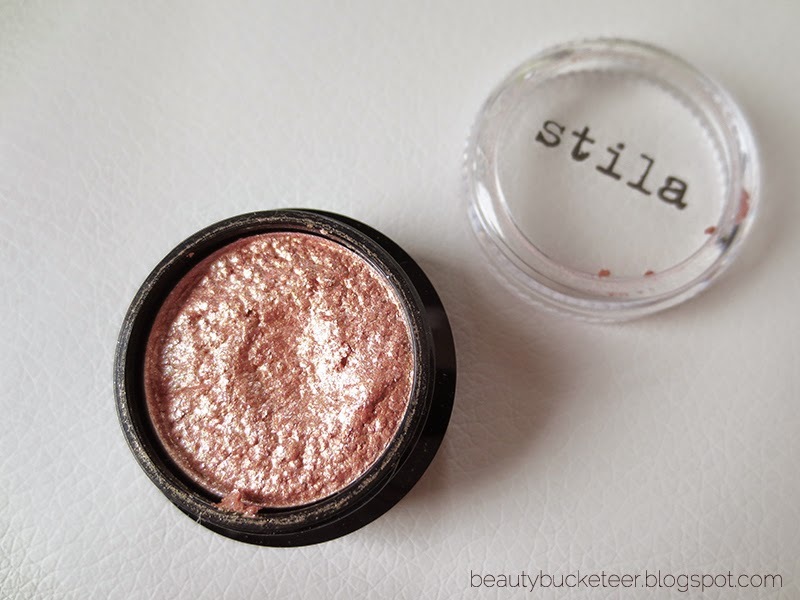 I simply love it, and it’s currently a makeup staple! This is simply the best highlighter I’ve ever encountered thus far. The quality of this product really does justify its price. First of all, can we just take a moment to appreciate the beauty of the packaging? Ooh! 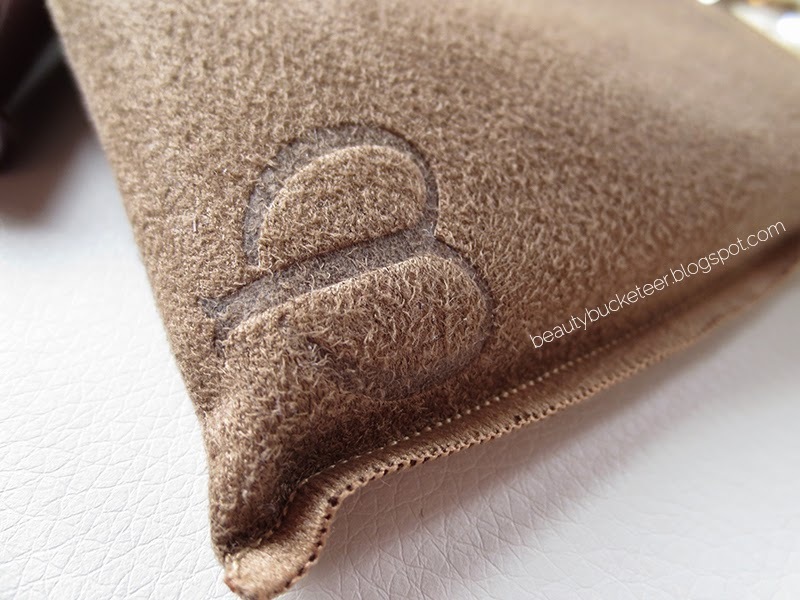 It comes with a beautiful, cream velvet pouch. Inspired by the way a seashell radiates light, this powder adds a natural luminosity wherever it’s applied. 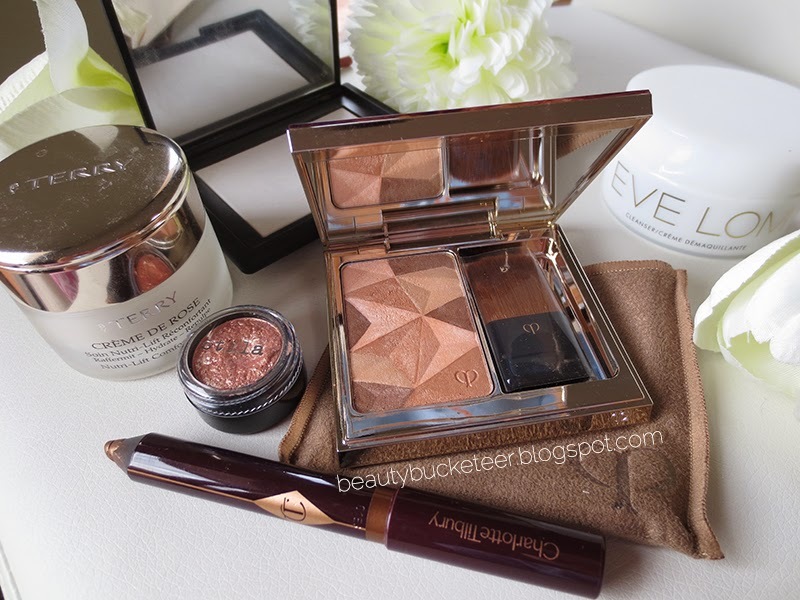 Cle de Peau claims that it uses “innovative light-diffusing technology to define contours and illuminate your complexion“, and it really does live up to its claims. 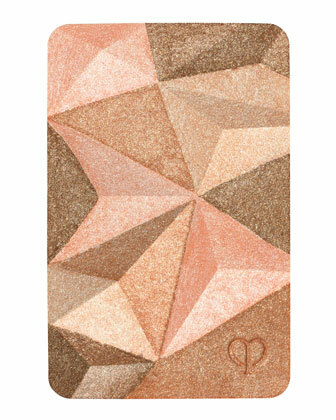 The powder is made up of a prism of warm colors, namely pinks, creams, reddish bronze and taupe. When blended together it creates the most amazing luminosity on the skin. I seriously hate (and hate is a strong word) highlighters that appear streaky, chalky and too apparent! So I really appreciate the quality of this powder for being so finely milled that even the “glitters” are not too apparent when they melt onto the skin. 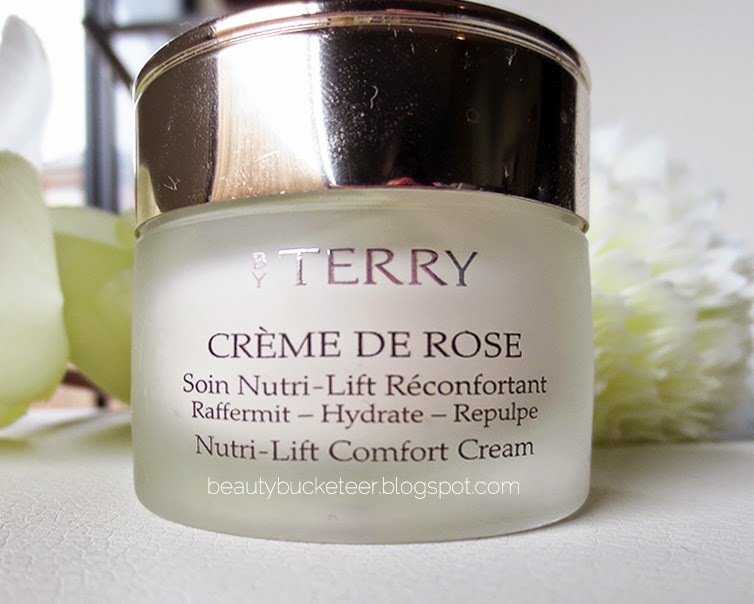 I usually apply this on the tops of my cheekbones before blush, and on the bridge of my nose and my chin. My flat and dull-looking face immediately looks so much more radiant and awake. The best thing is, it never looks streaky and it won’t look like I’ve applied a highlighter in purpose. With some highlighters, you can definitely see where the line between the skin and the line where the highlighter starts is drawn. However, this highlighter is able to blend seamlessly with the skin, it’s very subtle and people won’t notice you have a conventional “cheek highlighter” on your skin, it radiates a lit-from-within glow. 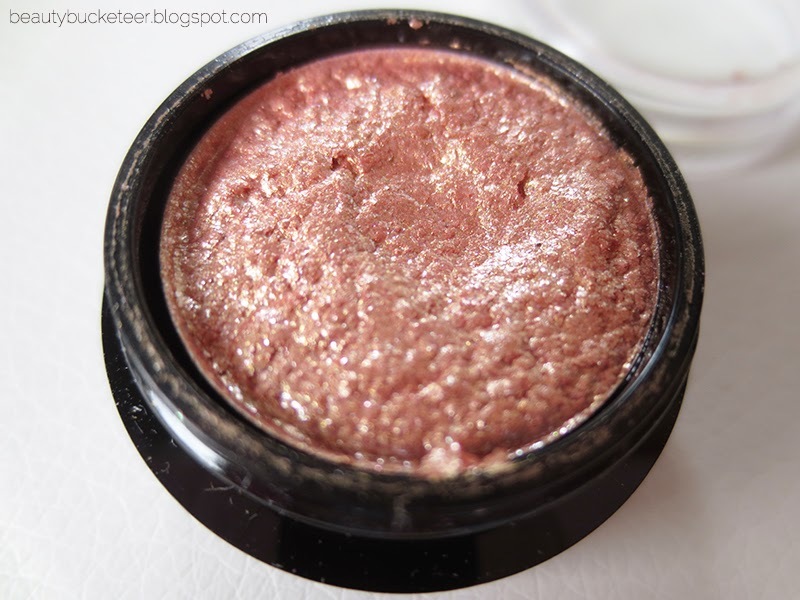 Unlike most highlighters, this does not sit on the skin and slip around, spreading glitter all over the face, throughout the day. 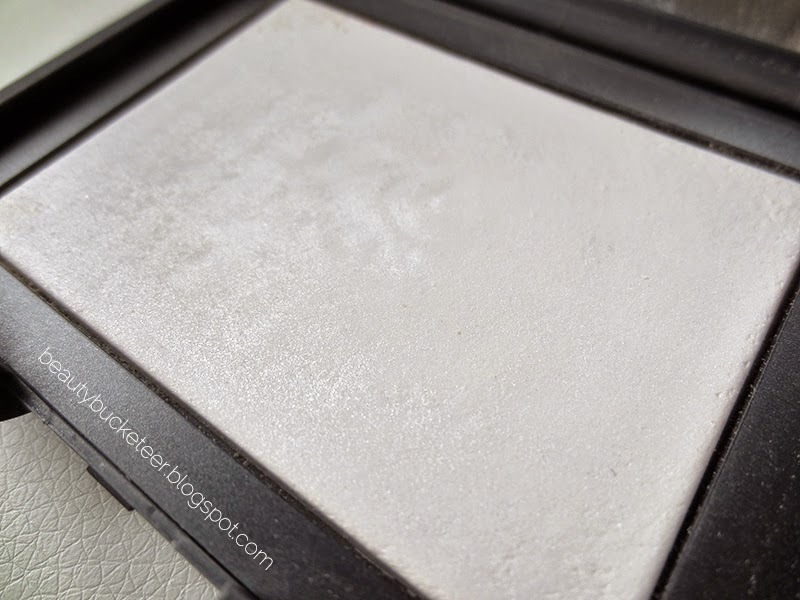 This nicely melts into the skin, thus creating the dubbed “lit-from-within” luminescent glow. It comes in four shades, and mine is in the shade 13 Sand Beige and it is the warmest out of four shades. Runner-ups are for my favorite, most natural looking highlighters are Kevyn Aucoin Candlelight and Soap & Glory Glow All Out! 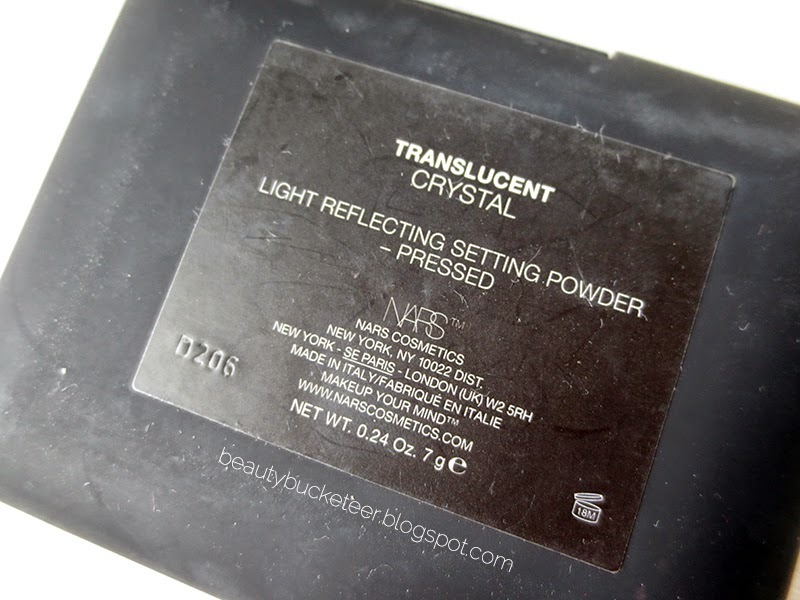 I no longer bring a powder foundation in my makeup bag, this is the only powder I bring wherever I travel. I also don’t bring huge powder brushes anymore, a slim Sigma F35 Tapered Highlighter Brush is all I bring to apply this product only on areas I’ve used concealer on. So I basically use this powder to set my all my concealing and it makes it stay put all day, and smooths out the tackiness/greasiness of the concealer or foundation. On minimal-makeup days I just use Cle de Peau concealer on areas that need to be concealed and this setting powder. The finishing feel on the skin is very akin to Make Up For Ever HD Powder and Tarte Amazonian Clay Smooth Operator, but this one has tiny micro shimmers in it to help luminize the skin, which makes it amazing for the undereye area. I really like those ones too, but prefer this one because it’s pressed, and the packaging is very slim and travel friendly. It comes with a pouch and a slim puff.